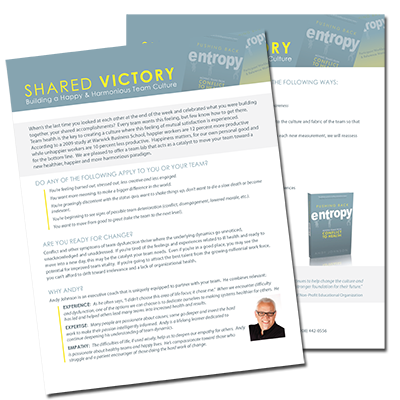 Shared Victory is our latest development. It’s a two-day intensive lab for teams that immerses them in models of conflict prevention and team health. This is the catalyst teams need to begin to move toward a new and healthier paradigm and all of the results that will flow from that. Take these two FREE surveys. 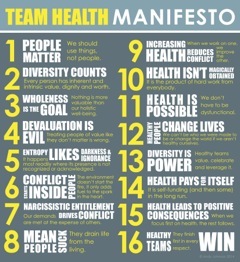 How healthy is your team? What is your current potential for experiencing team conflict? Click here to sign up and receive tips & insights on how to make your team a healthy one!